A little discipline in how well and how deeply you sleep determines your state of mind throughout the day. Some beautiful conditions will be created in the heart, if we meditate in morning. Early in the morning, nature’s energy flows in one direction towards the Source. It is best to meditate when you are flowing with those currents. 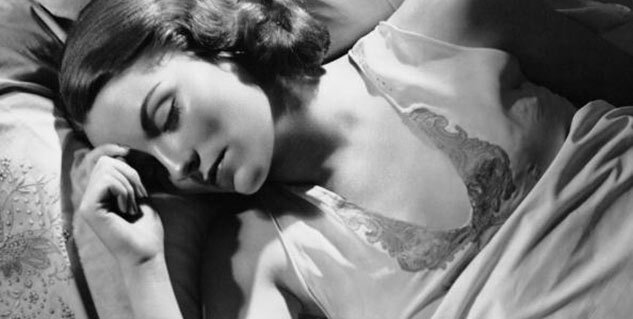 If people were to discipline their sleep cycles their lives could be changed. Sleep early. There are serious repercussions if you don’t discipline your sleep cycle, because it is like an inner butterfly effect. You have heard that story, that a butterfly flaps its wings in the Amazon, one leaf starts fluttering, two leaves start, three start, and there is a snowstorm created in North America. A little discipline in how well and how deeply you sleep determines your state of mind throughout the day. You will meditate in the morning without struggling with your consciousness. When we are fully alert in the morning, lovingly we can invite the higher consciousness or Divine Principle in meditation, and be one with that Essence. Then some beautiful conditions will be created in the heart. And when it is so intense it stays with us; if we try to shake it off it won’t go away. Such is the permanency of the condition created when ourconsciousness is able to receive. If our morning meditation is hampered, the whole day will be spoilt. For a person who has never meditated, it makes no difference; it is another day gone by like roaring oceans. These roaring oceans look so beautiful and you can write poems about them, but the real beauty is a pond without any waves when there is utter serenity. Even the dropping of a small leaf can create a disturbance. Extensive studies have been conducted on people who work at night. If we observe their health patterns, we find their ageing to be very rapid. Most of us are not forced to work at night, we have a choice, yet our lifestyle is like those who are helpless and must work at night. We volunteer to stay awake all night, watching all kinds of stuff. Whether we look at it spiritually or health-wise, it is self-defeating. So why indulge? How are we going to build our destiny? We have already decided upon a destructive path if we do not follow the natural rhythm. There is a beautiful statement by Ram Chandra of Shahjahanpur that you can either swim with the river’s flow, or you can swim against the flow, but it will consume you. Early in the morning, nature’s energy flows in one direction towards the Source. It is not a physical energy. It is best to meditate when you are flowing with those currents. 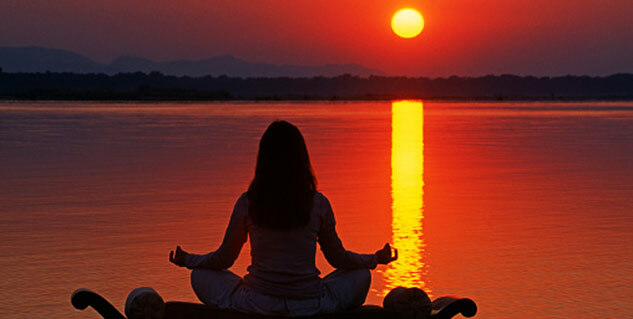 If you try to meditate after sunrise, it is like swimming against the current, and meditation becomes more difficult. So if you want to go further, adjust your sleep patterns, otherwise you will struggle with that one fundamental thing all your life. You will wake up frustrated and sleepless. You will not be able to meditate properly. If you cannot meditate properly, you won’t have a proper spiritual condition to work with and you won’t have a proper consciousness even for mundane things. You have uprooted your consciousness, which is the very guiding force. You have exposedyourself to so many things, and youare now vulnerable. More and more,you collect impressions throughout the day. It is a vicious cycle. Per contra, if you have a finer condition, a purer condition, a blissful condition, you are more grateful. This gratitude emerging from the heart creates a bond between your Maker and you. There is great benefit inthis, and as you get more and morebenefit you feel like doing moreand more. "A little discipline in how well and how deeply you sleep determines your state of mind throughout the day." "When we are fully alert in the morning, lovingly we can invite the higher consciousness or Divine Principle in meditation, and be one with that Essence. Then some beautiful conditions will be created in the heart." "Early in the morning, nature’s energy flows in one direction towards the Source. It is not a physical energy. It is best to meditate when you are flowing with those currents." From an early age, Kamlesh Patel was interested in spirituality and meditation, and eventually came to the feet of his Guru in 1976 while still a student. He is now the fourth spiritual guide in the Sahaj Marg system of Raja Yoga meditation. Kamlesh is married with two sons, and is a role model for students of spirituality who seek that perfect blend of Eastern heart and Western mind. He travels extensively and is at home with people from all backgrounds and walks of life, giving special attention to the youth of today.